Welcome to Latin America Aviation Summit Community! Elena Avila is the Executive Vice President, Head of Americas, Airline Business. Elena leads all Amadeus' airline business in the Americas region, including commercial, solutions, delivery and customer support for airlines in North, Central and South America. 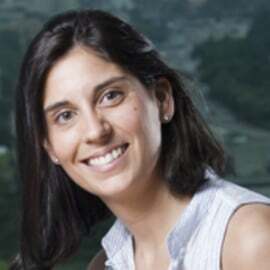 Prior to this regional leadership role, Elena was the global Airlines Head of Strategy, based in Madrid. In this role, she was responsible for defining and implementing Amadeus' strategy for its Airlines business worldwide, including partnership strategy. She was also in charge of pricing and commercial strategy, as well as marketing, and financial and operational planning. Elena also led the creation of a Customer Insights unit. Elena has held other leadership positions in Amadeus, as Director of Investor Relations and Director of Commercial Finance. Prior to joining Amadeus, Elena worked at Morgan Stanley for ten years in the investment banking division based in London and Madrid. She has a degree in Business Administration, specializing in Accounting and Finance, from CUNEF, a leading business school in Madrid.